Since 1985 Rotary International has been working the World Health Organisation (WHO) to eradicate the world of Polio. 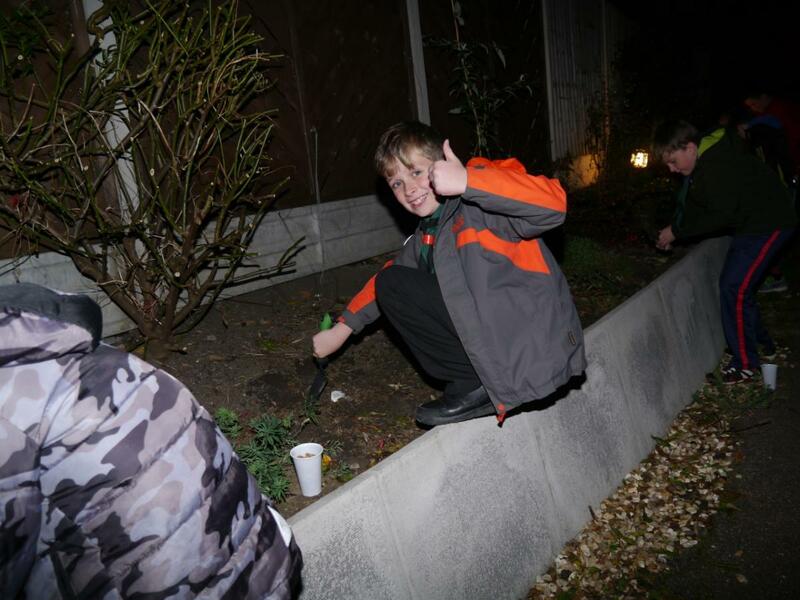 Danetre Rotary Club have been involved and this page is about the latest information. 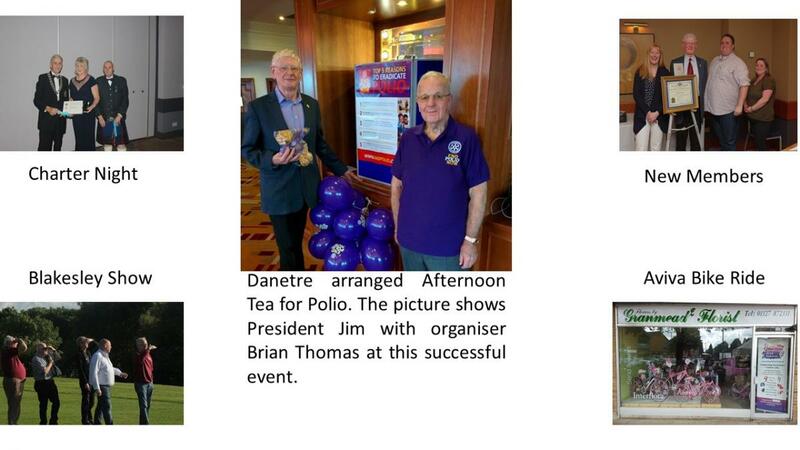 The recent Purple4Polio “Tea Party” organised by ‘Danetre’ Rotary Club was a resounding success. 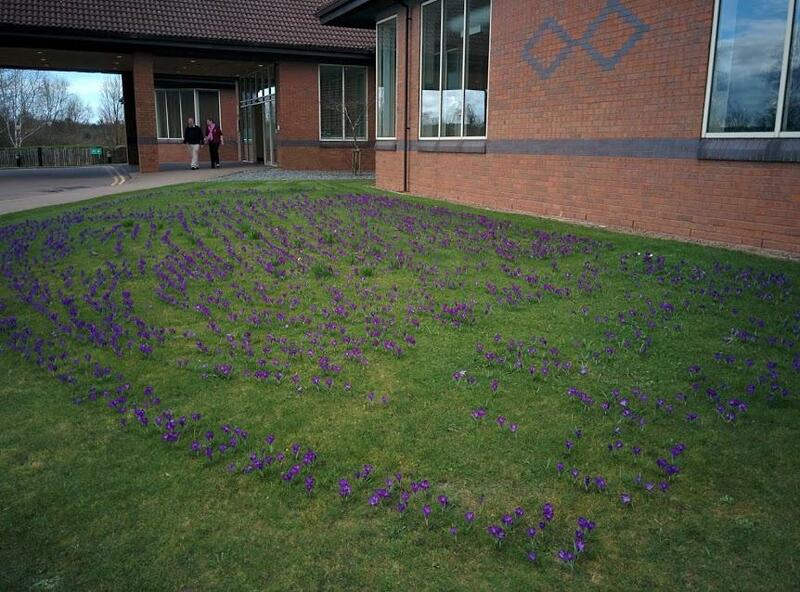 As Guests arrived at the Mercure Hotel for the Event, they were greeted by a large bed of Purple Crocuses in full Bloom at the right hand side of the main entrance. 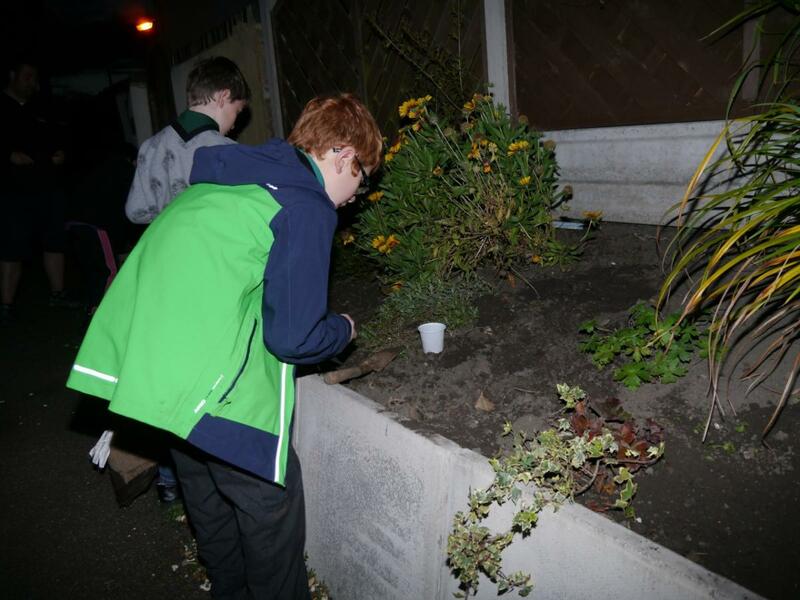 These were planted by ‘Danetre’ Rotary Club Members in the autumn of last year. 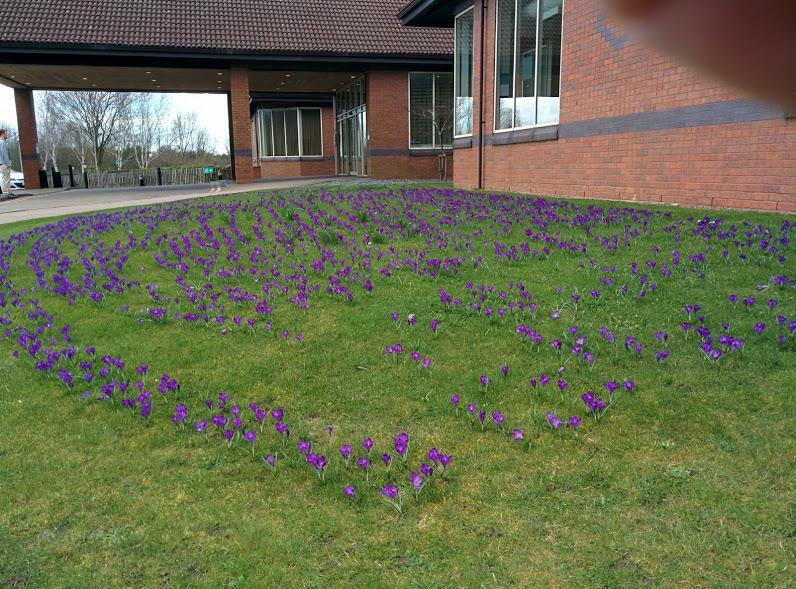 The purple crocus is a symbol of Rotary’s worldwide campaign to eradicate polio; with its colour representing the purple dye used to mark the finger of a child who has been immunised against Polio. ‘Danetre’ Rotary Club President, Jim Shoesmith, welcomed all the families, friends and guests who attended. 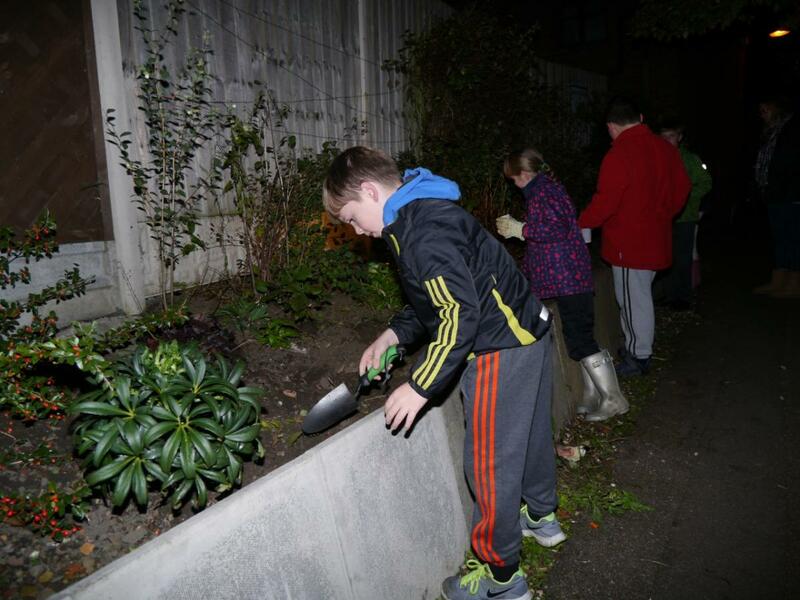 Including the Mayor and Leader of Daventry Town Council, Cllr. Glenda Simmonds. 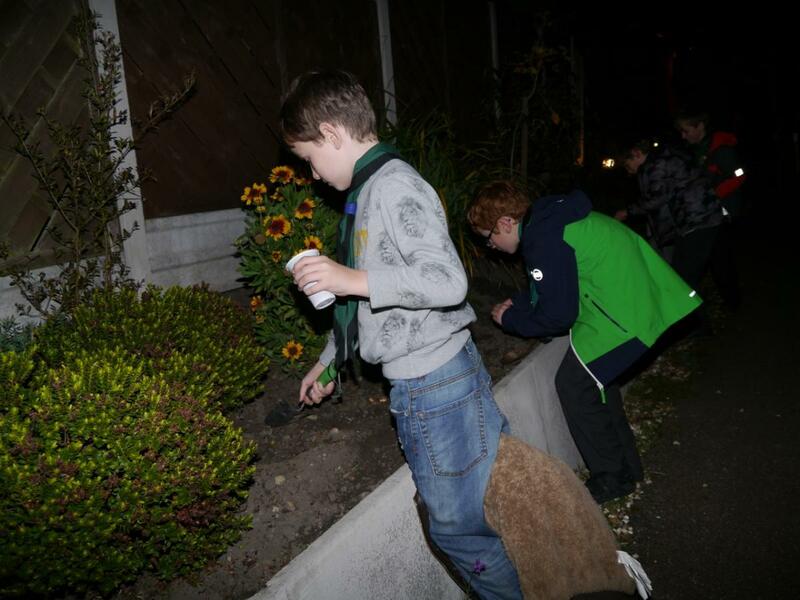 We were also pleased to have Representatives with us from the Village of Braunston – where members of numerous Village Groups all worked together to also plant 5000 Purple Crocus Corms in last Year. 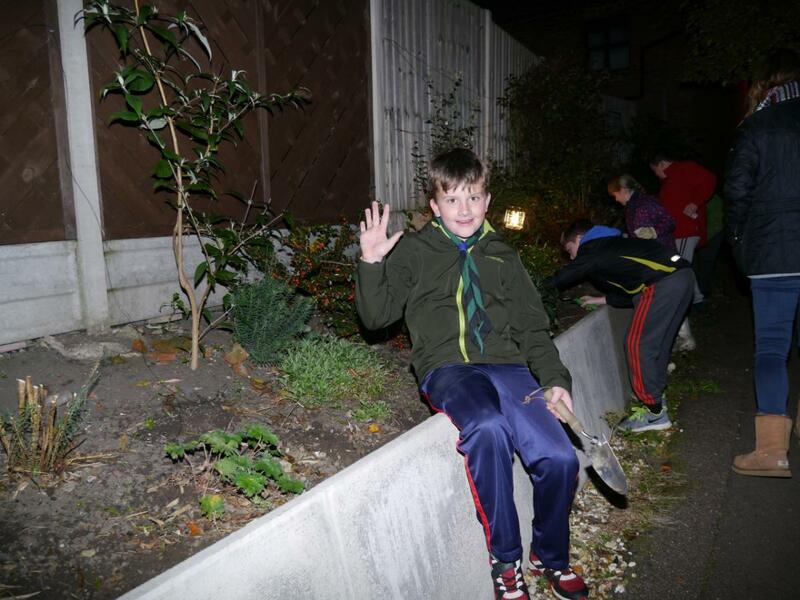 This being part of the Rotary Purple4Polio strategy of working in tandem with other Organisations; to bring people together, transform public spaces to brighten up the local area and promote health and wellbeing by the planting of 6 million crocus corms. As well as a very enjoyable Afternoon Tea, there was a Tombola and a “Name the Rotary Bear” Competition. Guests were also entertained by well-known local Church Organist and Music Teacher – Michael Hooson – who played a wide range of very enjoyable Light Classical and ‘60’s’ Music. 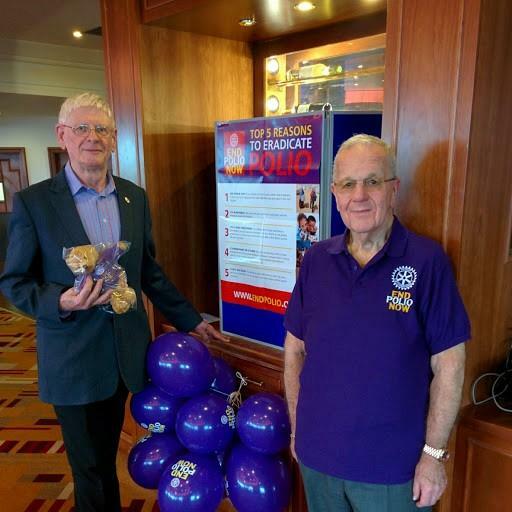 The two Rotary ‘Polio Bears’ – “Martha” and “Jasper” – were duly named, won and adopted; before going home to stay with their new families in Daventry! 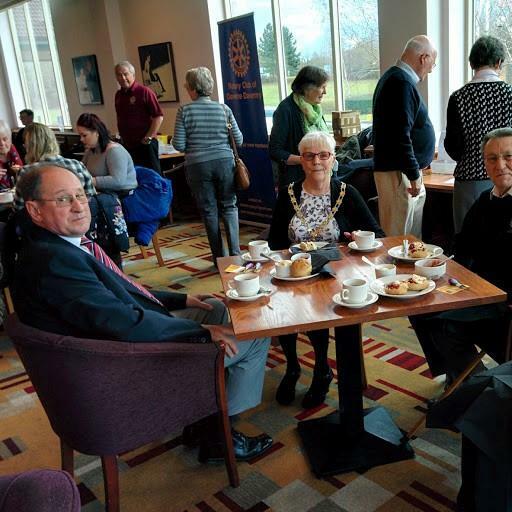 The Daventry Purple4Polio “Tea Party” was part of a concerted Final Push to raise both awareness and the necessary funds to hopefully successfully totally eradicate Polio from the World. The Event would of course not have taken place, if it were not for the generous help and support of various People and Organisations - who ‘Danetre’ Rotary Club would like to both Thank, recognise and acknowledge. Firstly, the Mercure Hotel – [also the venue for our Monday evening weekly Club Meetings & Dinner at 7.00 pm] - who very kindly offered us the use of the room, together with Tea & Coffee also an ample supply of ‘bread and butter’ & 30 ‘Cream Teas’ ….. free of charge for Purple4Polio. So a ‘big thanks’ to both Sean Turton the Hotel Manager - and Laura Goodland their Sales Manager - for agreeing to and arranging this. Also Waitrose in Daventry - who generously donated a further 60 Scones and all the Clotted Cream to go with them for Purple4Polio. Again thanks are due to Claire Pollott, Waitrose’s Marketing Manager - plus the Manager and various Staff of their Daventry store who helped and organised this for us. The “Tea Party” raised a very successful £501.39. So a cheque for £500.00 has since been sent to the Purple4Polio Charity. This sum will fund the ‘free of charge’ vaccination of some 1250 Children against Polio. and scourge of Polio in the near future. A very big thanks again to everyone who helped and supported this Event. 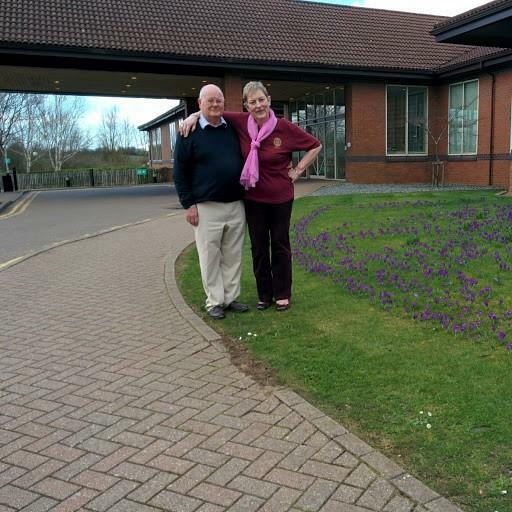 Rotary Club of Danetre Daventry.